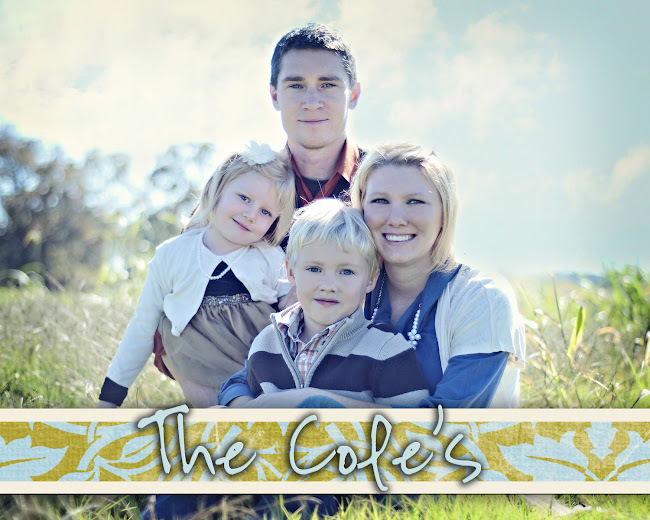 The Cole's: WE'RE DEBT FREE!! Dan and I payed our last credit card about a week ago. We are now 100% debt free...except for the house! In celebration of that we went to Branson just the two of us last weekend and stayed Thrusday and Friday night in the Hilton. We had nice dinners and adult conversations that weren't interrupted by the kids. We shopped all day on Friday...I mean from 10:00 until 7:00 and got Dan tons of new clothes. He had been saving up all of his cash from the pizza delivery in order to buy some clothes that he desperately needed. -A new camera!!! I am SOOOOOOO excited about this camera! It is a Nikon D60 (Perfect for a beginner like myself!) and it comes with two lenses (they range from 20-300mm) and a 2G memory card. I should get it before Thanksgiving so that I can mess around with it the whole time we are in Harrison. I feel so spoiled! We never get to splurge on these kind of items but Dan did inform me that these were our Christmas presents...for the next 5 years!! He was kidding but after these purchases we won't be getting anything else. On another note...While Ariel was at her Granny's this last weekend when Dan and I went to Branson, she started seriously potty training her. Ariel has done TERRIFIC!!!! She goes almost everytime I sit her on the potty (about every 45 min.) and is now telling me when she needs to go! She has a dry pull-up all day long (except for nap). I was even up at the church all day on Monday and Tuesday getting ready for Christmas Dinner Theater and she was in childcare and we left there with dry pants!!! I am so proud of her! She is still uncomfortable with going #2 and has cried both times she has gone on the potty but I am not going to force her at all. I am staying pretty busy with Christmas cards. The money I make from the cards is going to pay for the kids gifts this year (that and Dan's money from the pizza delivery...which by the way he is still doing on Saturday nights). Ok hopefully I can keep blogging from now on...I know I will at least be posting a ton of pics when I get my camera! Congratulations! I bet that is an amazing feeling.